Photography came into my life about fifteen years ago. After discussing different styles and themes, I discovered a passion for the horse, which only made me grow. It has led me to develop, over time and experiences, a specific know-how and personal signature. To dream while photographing everyday life. Reveal the beauty that surrounds us, by the look that I choose to pose. Dare to realize your dreams and believe that if you decide, they are within reach. Capture the unexpected and retransmit the emotion of the moment, intact. Share my sensitivity to the world through universal images, which connect to the senses without going through words. The natural and true photo report, without effects of artificial light. Black and white because it focuses on the essential. Living images that combine sincerity, spontaneity and subtlety. For me, a successful photo tells the essential in its simplest expression, with elegance. 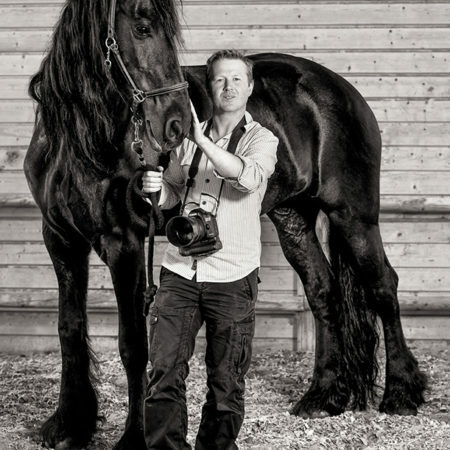 Specialist of the equestrian world, regularly mandated by the FEI (International Equestrian Federation), the Longines Masters, the magazines and organizations of international events, I take my glance on the fields of sports and leisure of the world, to capture the adrenaline , passion and truth. Yours … I can not wait to tell your story, your daily life and your personality; ready to accompany you in your most unexpected and crazy ideas!